The 2019 Subaru Forester doubles down on important attributes to crossover shoppers, with more cargo room and improved fuel economy. The Forester debuts at the 2018 New York Auto Show and will go on sale later this year. As you can tell from the pictures, Subaru did not take any huge risks when it comes to styling; the new Forester mostly looks like the old one, albeit with some fresher shapes and lines, new lighting designs, and new 17- or 18-inch wheels for each trim level. But underneath it switches to the new Subaru Global Platform (SGP) also used for other new Subarus. In doing so, it grows. The 2019 Forester's wheelbase increases 1.2 inches, which is used to increase rear legroom by 1.4 inches. In fact, Subaru says all passenger measurements increase: more leg-, head-, and shoulder room. Cargo space is similarly improved to 76.1 cubic feet with the seats down, a gain of 1.9 cubic feet. More important, engineers took pains to make sure getting cargo in and out was easier by widening the cargo door by 5.3 inches, as well as by making the cargo floor “flatter” than before. In addition, the rear doors now open wider and the C-pillar has a steeper angle to make ingress – or loading car seats – easier. Ground clearance is an impressive 8.7 inches, and all-wheel drive – of course – remains standard. Subaru says that its engineers also worked to reduce noise, vibration, and harshness within the Forester’s cabin, calling out specifically that road noise has been reduced. That’s a welcome update considering the outgoing model could be louder inside than competitors. 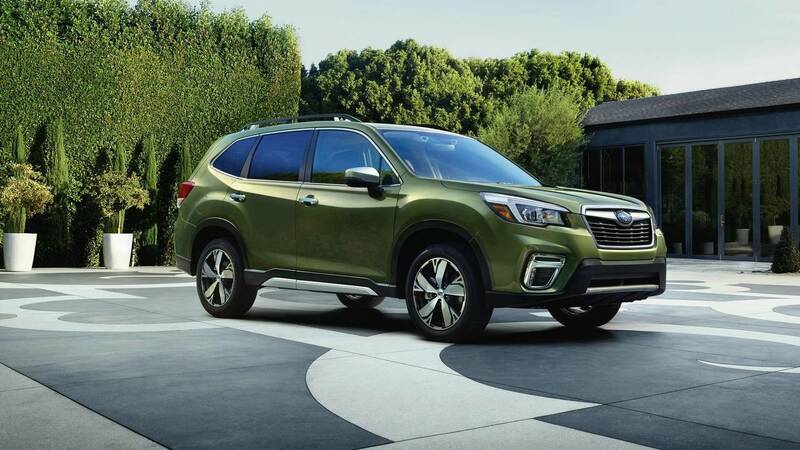 Under the hood is a new version of the Forester’s current base engine, a revised 2.5-liter flat-four with 182 horsepower and 176 pound-feet of torque, gains of 12 hp and 2 lb-ft. Fuel economy is also said to improve to as much as 33 miles per gallon highway, thanks in part to the addition of active grille shutters, compared to the old Forester’s 32-mpg rating. A continuously variable transmission is standard. 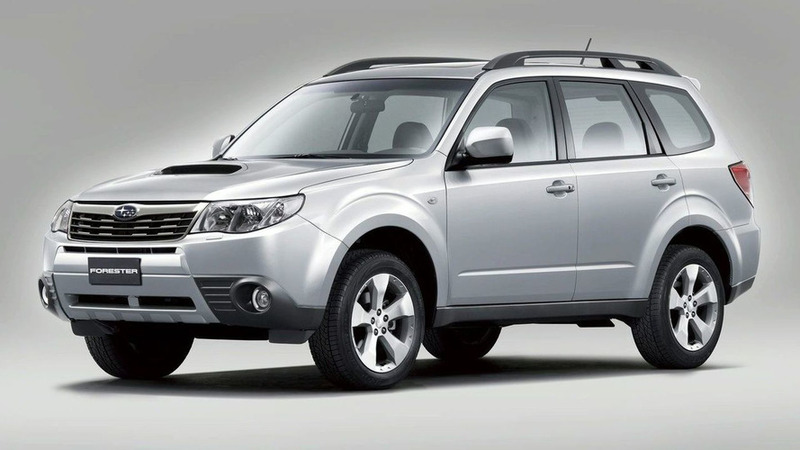 There’s no mention of a manual transmission, or of an optional turbo engine as was offered on the old Forester XT. 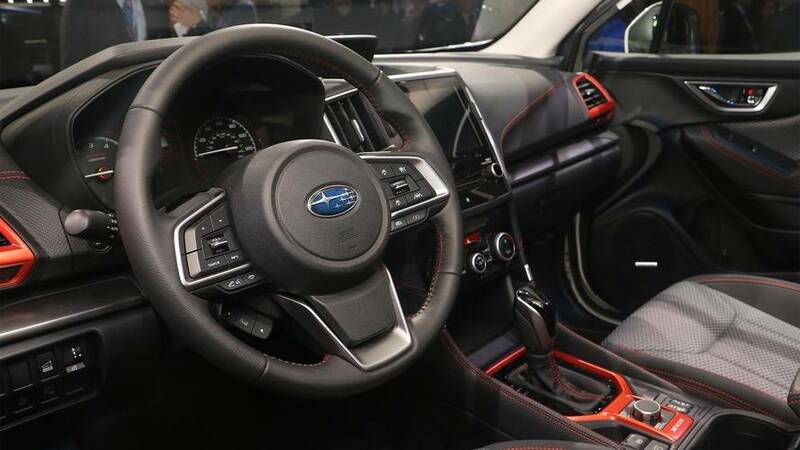 As for the cabin, Subaru swapped to an electric parking brake to free up space in the center console, included automatic climate control as standard, designed more comfortable front seats, and installed new seatback pockets with dividers that Subaru says are ideal for stowing phones or tablets. Newly optional features include a Wi-Fi hotspot and heated rear seats. There’s more standard safety equipment, too. Every 2019 Forester has the EyeSight active-safety suite, comprising adaptive cruise control, pre-collision braking, and lane-keep assist. Blind-spot warning and reverse braking are offered as options, too. New for the Forester is a feature called DriverFocus, which mimics the driver-attention systems already offered by other manufacturers. It uses facial recognition to “identify signs of driver fatigue or driver distraction,” Subaru says. In terms of connectivity, the 2019 Forester has a 6.5-inch touchscreen infotainment system with Apple CarPlay and Android Auto, while higher trim levels get an 8.0-inch screen, on which navigation is optional. Though pricing won’t be announced until later, Subaru has said that the 2019 Forester will be offered in base, Premium, Sport, Limited, and Touring trim levels. The Sport specifically gets a unique look, with a gloss-black grille, unique 18-inch wheels, a roof spoiler, orange accents on the roof rails, and a dark gray interior with orange stitching. Subaru says this model appeals to “the needs of outdoor enthusiasts.” It will also offer a manual-shifting mode for the CVT with paddle shifters, plus LED illumination in the cargo area for loading your outdoorsy gear late at night or early in the morning. All told, the 2019 Subaru Forester looks set to continue its broad appeal to crossover shoppers by giving them more of what they want: fuel economy, roominess, and technology. 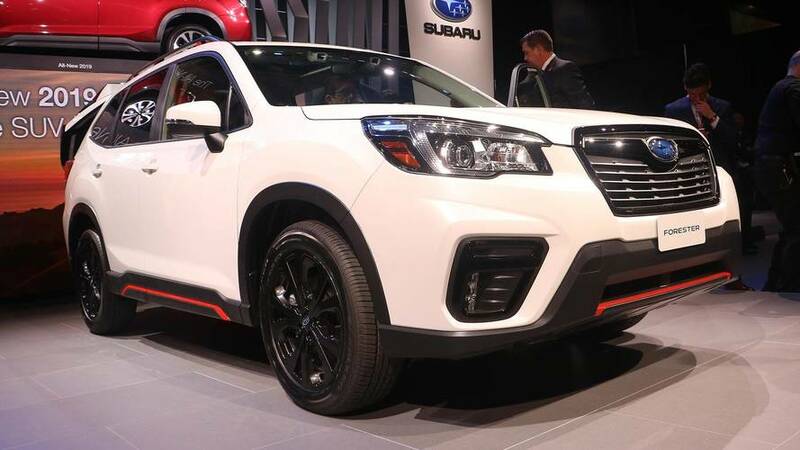 NEW YORK, March 28, 2018 – Subaru of America Inc., debuted today the all-new 2019 Forester at the New York International Auto Show. The fifth generation of the best-selling SUV introduces the roomiest, most capable and most versatile Forester ever made and also features groundbreaking new safety technology. DriverFocus is a driver monitoring system that uses facial recognition software to identify signs of driver fatigue or driver distraction. DriverFocus works with Subaru’s award-winning EyeSight Driver Assist Technology to reduce the chance of an accident. And for added convenience, DriverFocus can also recognize up to five drivers and remember their presets for seat position, climate, infotainment and more. The 2019 Forester design increases cargo space to 76.1 cu. ft. with the 60:40 split rear seatbacks lowered, a gain of 1.9 cu. ft. The load floor sits flatter, and the cargo area’s squared-off shape has been further optimized for ease of carrying large objects. Notably, the rear gate opening maximum width is now 51.3-in. wide, a 5.3-in. increase over the previous model and up to 8-in. wider than on some competitive SUVs. For example, with the 2019 Forester, it will be possible to load a full-size golf bag sideways without tilting it. A power rear gate is standard on Limited and Touring trim levels and available as an option for Premium and Sport.